A sura (109) is even named The Disbelievers – in Arabic: al-Kāfirūn (سُورة الْكافِرُون). The so-called “disbelievers” are the enemies of the Muslims and they will be punished heavily by Allah. Sadly enough, some Muslims think that they are obliged to carry out Allah’s work in this life. Most victims are Christians living in Islamic countries, minorities like the Yazīdi people in Iraq and Syria, but also Shia Muslims living in Sunni dom­inated countries. They are all denounced as unbelievers. 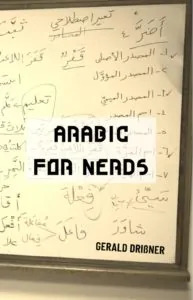 The Arabic root k-f-r (كَفَرَ) is tricky. It helps us to get closer to the Islamic concept of disbe­lieve. Of this root, 17 forms occur 510 (!) times in the Qur’an. The root has several meanings and most of them have to do with: to veil or to cover. It is an old Semitic root that is found in Hebrew as well, some say also in Nabataean. He covered the sown seed with earth. The clouds covered the sky. Mukaffar is the passive participle of كَفَّرَ and used to describe a bird covered with feathers. Since its original meaning is to cover, the term Kāfir (كافِر), in pre-Is­lamic times, was also used to denote a sower or a tiller of the ground – because he covers the seed with earth. This is important when Muslims want to fully understand the Qur’an. Sadly enough, many Muslims, also native Arabic speakers, think that the word Kāfir only means unbeliever, and therefore could misinterpret several verses in the Qur’an. Bear in mind that the present life is just a game, a diversion, an attraction, a cause of boasting among you, of rivalry in wealth and children. It is like plants that spring up after the rain: their growth at first delights the sowers, but then you see them wither away, turn yellow, and become stubble. There is ter­rible punishment in the next life as well as for­giveness and approval from God; the life of this world is only an illusory pleasure. اعْلَمُوا أَنَّمَا الْحَيَاةُ الدُّنْيَا لَعِبٌ وَلَهْوٌ وَزِينَةٌ وَتَفَاخُرٌ بَيْنَكُمْ وَتَكَاثُرٌ فِي الْأَمْوَالِ وَالْأَوْلَادِ كَمَثَلِ غَيْثٍ أَعْجَبَ الْكُفَّارَ نَبَاتُهُ ثُمَّ يَهِيجُ فَتَرَاهُ مُصْفَرًّا ثُمَّ يَكُونُ حُطَامًا وَفِي الْآخِرَةِ عَذَابٌ شَدِيدٌ وَمَغْفِرَةٌ مِّنَ اللَّهِ وَرِضْوَانٌ وَمَا الْحَيَاةُ الدُّنْيَا إِلَّا مَتَاعُ الْغُرُورِ. And it is God who has given you spouses from among yourselves and through them He has given you children and grandchildren and provided you with good things. How can they believe in falsehood and deny God’s blessings? So how can to cover also mean to disbelieve? The sentence he disbelieved in Allah (كَفَرَ بِاللّهِ) can be inter­preted as follows: Someone disbelieves because he conceals or covers the truth of Allah. Even in the Qur’an, a metaphorical meaning of to cover in the sense of to disbelieve is found. It is a verse in sura 5 The Feast/The Table Spread – in Arabic: al-Mā’ida (سُورة الْمائِدة) – which talks about the Christians. Christians belong to the People of the Book – in Arabic: ’Ahl al-Kitāb (أَهْل الْكِتاب). Muslims use this term for Jews and Christi­ans. From an Islamic perspective, Christians literally cover the knowledge that a prophet (= Muhammad) will come after Jesus. Those who say, ‘God is the Messiah, the son of Mary’, are defying the truth (= have disbe­lieved). The Arabic word Kafr (كَفْر) can also mean village. It is a Syr­ian word and mostly used in Syria and Egypt. The English word Kaffir has Arabic roots. Kaffir (Kaffer in Afrikaans) is an insulting term for a black African used in South Africa. The history of this word most probably goes back to the Islamic conquest of East Africa. Some native peoples there believed in several gods, and therefore the Muslims called them Kāfir. Eng­lish missionaries picked it up to denounce the Bantu people in South Africa. This happened possibly in the middle of the 18th century. Later, the expression was generally used in English and Dutch (Afrikaans) for South African blacks. It is a racist term. 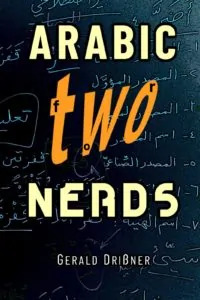 It is all well and nice to discuss the linguistic/etymological implications of Arabic, but please don’t forget that when it occurs in Islam, Arabic words come with legal/jurisprudential meanings and connotations that are NOT equivalent to their linguistic uses. Extremists bombing innocent people while calling them kuffaar is another problem altogether. It’s not a problem of the word or its usage in Islamic jurisprudence. It’s them interpreting our sacred texts wrong, to their own whims, reading only half of the texts (the Qur’an DOES repeatedly call for fighting against “unbelievers” but it also reiterates not transgressing the limits AND commands us to deal justly and with kindness with non-Muslims who don’t oppress us; funny how extremists don’t read these verses and ignore Prophetic instructions NOT TO HARM non-combatants), and cherrypicking which scholars’ words they’ll use to justify their atrocities. thank you for this additional information about how “kafir” is understood islamically and liguistically. Despite my great love for language and particularly Arabic, then their is no doubt – as you clarified – that Islamic law is what is important. Linguistics fades away in importance compared to the greatness of Islamic law because it is the injunctions set by Allah whereas language is just a tool. “cafre.- From Portuguese “cáfer” and this one from classical Arabic “kāfir” = Pagan. 1. Inhabitant of “Cafrería”, an old English colony in South Africa. 2. Relative to Cafrería or its inhabitants. That’s an interesting point. I guess we could talk for hours about the various meanings of كفر as this is indeed a very interesting Arabic root. Many scholars translated the verb كفر in this particular sentence as “to reject”. I guess this is perfectly fine, and it also makes sense. If we take the basic meaning of كفر, which is “to cover”, we could probably say that the expression كفر ب may mean: to cover the thing [as to destroy it]. In other words, we could probably say, that it means here: “to quit”, hence: to negate or disbelieve – or simply: to reject someone. Whoever rejected/disobeyed Thaghut they believe in Allah….it is used in a linguistic meaning of kafir. The highest meaning of kafir is “aba was tak bar waka na minal kafirin”. Al syirk/associatisnism is one of the form’s of being Kafir.